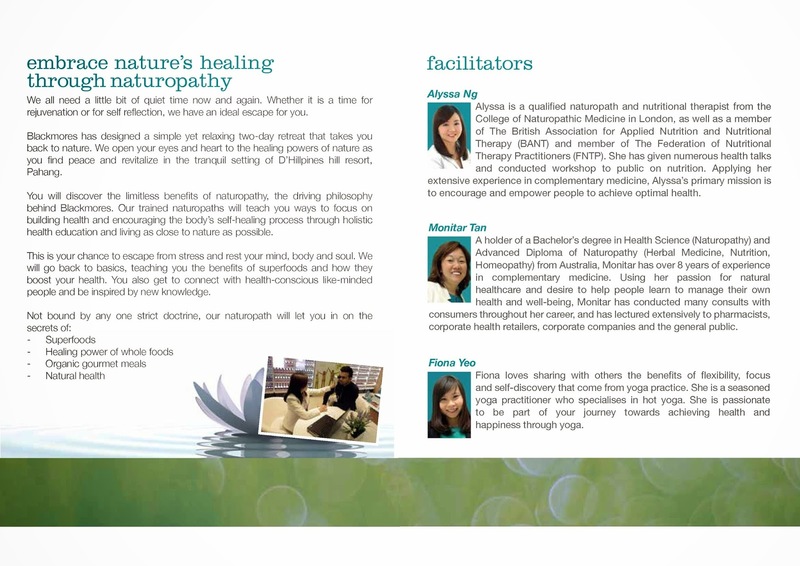 Health & Nature Retreat Trip to D'Hillpines Resort! Hello lovelies! 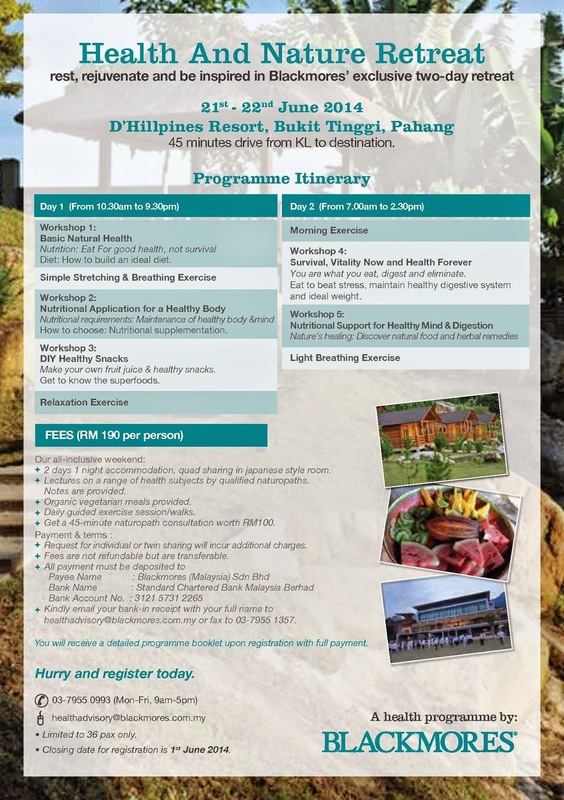 Come join me for this health and nature retreat at D'Hillpines Resort, Bukit Tinggi, Pahang! 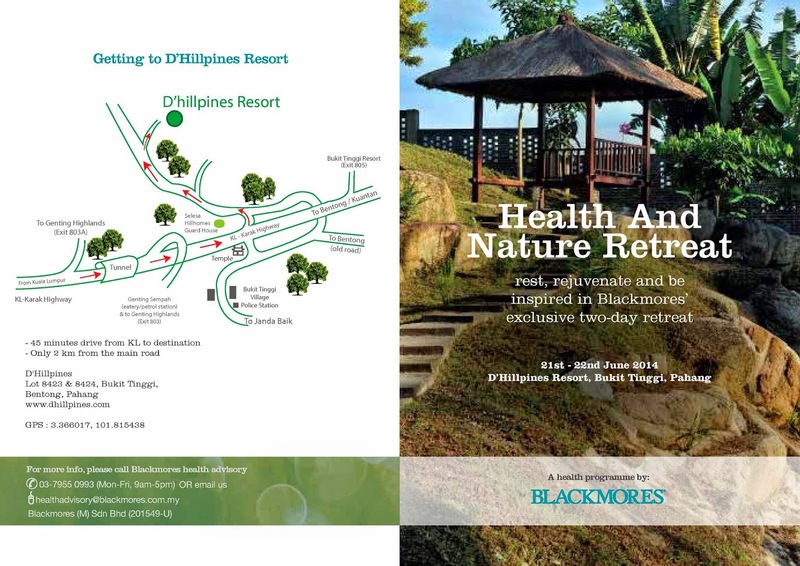 :D Who can say no to a chance to rest, rejuvenate and be inspired in Blackmores' exclusive two-day retreat? As I grow older, I learn the importance of eating healthy and knowing my body immune system quite weak since I was born, I know I need to learn how to take care of my eating habit. I would say since I moved to KL for work and staying with Eric and family, his mom is a very health conscious mother and she always prepares the food in a much healthier way. I remember how I wasn't used to with less salt and flavor in food on my first dinner here. Day by day, I found out there's always a way to cook a dish in a much healthier way.